Whether you go to the city, the beach, or by a lake, there are many convenient destinations that are pet friendly. Traveling with the pet is the full family vacation experience. Your dog will be as relaxed as you when the peace of mind settles in, and it is easy to find accommodations, including rentals, that allow pets to stay with the family. The benefits also include the fact that you don't have to spend more money on a shelter or think about your pet being lonely while you are away. Many of the popular vacation spots are pet friendly. 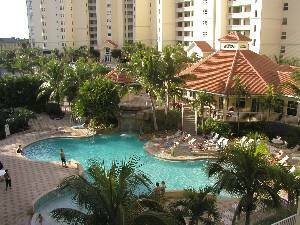 Florida is a great place for everyone, and you can find ideal accommodations in Miami, where walking the streets or the beach is the standard, or Key West where the fun and culture are both pet and human friendly. Even Orlando is great, as almost anywhere you can find a rental home perfect for a pet to chill out while everyone is off to see the theme parks and attractions. Even Cedar Key, Destin, and other spots along the Gulf Coast are ideal for families with pets. As you head up north, many stops along the major interstates, including I-95 and I-75, are accommodating, anywhere from Maine to Florida. You'll find lodging, parks, and cafes where animals are as equal as humans in New York. Whether you are in New York City or upstate in the Hudson Valley, Finger Lakes, or The Adirondack Mountains, you can find great places to stay with your pet along the water or in a nice spot in the woods. Lake George and Lake Placid offer picturesque scenery and fresh air that is great for everyone in the family, humans and animals alike. On the west coast, there are pet-friendly destinations in California, including wonderful vacation spots like Lake Tahoe, Yosemite, and Palm Springs. Whether you're in a big city like Los Angeles or San Francisco, or a small town near the coast or inland, many places cater to pets. Tropical dream vacation spots like Hawaii are pet friendly, including Honolulu and Waikiki, Hilo, and even Hawaii Volcanoes National Park. Even take your pet with you to the open country of Montana, to places like Billings, Glacier National Park, and Flathead Lake. Pets also enjoy trips to diverse landscapes, and you can go to the Outer Banks for the ultimate in beach getaways or head for a ride on the Blue Ridge Parkway in North Carolina. In New Jersey, Atlantic City and Cape May have many pet friendly locations and you'll also find more places to stay along major thoroughfares like I-80. The Midwest is also friendly toward pets; you'll find the right accommodations and attractions in Madison, Wisconsin; Cleveland, Ohio; and especially metropolitan Chicago. It is easy to find places and accommodations that cater to pets as well as humans. All you have to do is pick a place to stay and do the research online. Extraordinary and memorable vacations are had when everyone is together, especially since pets are a part of the family.